Very quiet on the runners front here as most of the team are stretched out in the field either sunbathing or munching grass, and enjoying their holidays. Having said that we had four runners at Towcester yesterday, (should have been 5 but for an unsatisfactory blood result) so a busy day. Bally Lagan has been a reformed character this season and has clocked up three wins in a row, unfortunately had gone up another 11lbs for his last one! It was always going to be tough for him but he ran a good race to be 5th - not helped by slightly missing the fourth last just as he was making good progress. Celestial Chimes had an absolute farce of a run, she ducked from another horse at the start and was then facing the wrong way when the tape went up and was 20 lengths adrift by the first hurdle, she then followed them round on her own, but then made a mistake at the second last and tipped up. felt really sorry for her as she is so game an was given no chance at all. EPDS members having a busy night with two runners, Galactic Power is a popular little horse ran his usual good race to be third. He is such a trier, and altogether nice person so good to see him run another nice race. The second EPDS runner was Dontminddboys who has been waiting and waiting for some decent ground (first too heavy then too soft!) - he ran a good race to be second. Frustrating to be the bridesmaid again but another good run to his name and still a novice for next season which may be a bonus! BTO for Poppy with DMDB, and a great effort from the girls looking after the horses on a very hot day. Lots of washing and scraping to get them cooled down quickly. Everyone OK today although little Celestial is a bit sore and bruised. Frustrating not to have a winner but pleasing that they all ran well. The other big news recently is that we have Darren Swanton back as part of out team. Anyone who has been involved with the yard over the last few years will know Darren, who has been a lad, head lad & Assistant trainer at different times. He has been off doing other things but has decided that the racing drug is still firmly in his system. He is here mostly in an admin role to run the partnerships and generally turn his hand to anything that needs doing. Great to have him back and be able to just slot back into the routine here. The rest of the team starting to have their holidays and get the batteries charged up for the coming season. The end of another season - our 30th as trainers! Every season is tough in this game, but last year was particularly trying, with winners proving elusive until the latter end of the season, but once we found our form it continued into the summer months, and we had a good early start to the 16/17 campaign, with a double for Myroundorurs for Andrew & Jayne Nichols, and the a hat trick for Anti Cool & EPDS Racing saw us going into the Autumn with five winners already on the board! Wildmore Boy has tested everyone's skill and patience, but with some help from some understanding officials (less from others), he too managed a hat trick of wins at Stratford, Cheltenham & Warwick. Cliff Beech & Brian Wilkinson thoroughly deserving these super performances after giving 'Mouse' so much time and understanding. Jackfield (a winner for the wife!) won at Stratford in the Summer, Timons Tara was a convincing winner at Uttoxeter for Mark James. Bally Lagan finally got into winning ways, after many placed efforts and repaid the ever patient Park Lane Partners with a lovely three timer. As well as the winners, we recorded 16 seconds (bloody second!) 17 thirds & 23 fourths from 156 runners. an 11% winning strike rate and just under 50% of all runners in the first four! A few frustrations along the way, with horses such as Young Lou, and Dontminddboys who rarely run a bad race, but are so often the bridesmaid, Vocaliser just getting beaten by the smallest of margins at Haydock, and Oneida Tribe getting mugged at Towcester, when he surely would have won! A few who have struggled for various reasons but who will be back on form in the new season. Injuries are always the worst to cope with, a few guaranteed winners who have missed the winter, but who also will be back for next time. Most excitingly a nice bunch of youngsters waiting in the wings, who have shown us plenty to be excited about for next year. La Fille Francaise & All Is Good are particular winners waiting to happen! Not possible to mention all of the horses here, but a huge 'Thank you' to all of our owners who have supported us through the good & bad times. Of course a particular thank you must go to the team at home. For the first time ever an all girls crew, of Head Girl Megan, ably supported by Harriet T, Ceris, Alice, Poppy & Ashleigh. Sad to lose Rachel Brookes at the end of this season, she has been with us for many years and will be missed! Kay Williams also in every week come rain or shine - thanks to her. The girls have won many turn outs - we lost count early on which is bad and we will do better at keeping a tally this season! The home team have been supported by Charlie Poste, Jack Quinlan, Tabitha Worsley, James Nixon and earlier in the season by Chris Ward. Kelly Sullivan has been in helping out on a Saturday morning. Whilst on the subject of thank yous, Three Counties Veterinary are a big part of our operation - Graham Potts, in particular, who is our regular vet, are an essential part of keeping the show on the road, as is our farrier Charlie Sands & his team. Its a massive team effort from everyone and the results this season underline what a great team we have. Its onward & upwards for the new season now, and we started off with two good seconds on Monday at Warwick - everyone hates to be second, but both Garrahalish & Vocaliser ran well, and both jumped exceptionally. Great to have Gary back on track after missing most of the winter, and you will rarely see a better first time run over fences than Vocaliser whose jumping was impeccable. Celestial Chimes was our other runner and the penny is starting to drop for her, further in time will suit! Some non horse news in this entry & a very well done to our head girl Megan, who completed the London Marathon last weekend. After being registered completely insane, Meg decided that this was her quest for the year and has been training hard. She ran in the Racing Welfare team, and thanks to so many people for the support she has received in reaching and exceeding her target of £1500 - her total is up to £2k and still rising. WELL DONE Meg - total hats off for a massive achievement. Thanks especially to Terry & Mandy Poulson who organised the quiz evening, which raised £900 towards Megs target. A well earned couple of days off at the beginning of the week, and Meg is trotting up sound again now! We all need a bit of luck in this life, and for once a bit came our way yesterday at Towcester! We have had our fair share of frustrations at the track, but plotting a path down the inner on Some Finish yesterday proved fortuitous for Charlie. Some Finish has been a bit of a mystery this season, with some very uninspiring runs, so a complete change of plan was on the cards, with the head gear off and hold up tactics! Only three runners so what happened at the second fence was somewhat surprising - the leader tried to stop, lay all over the fence, then fell over it and brought the only other runner down!! (actually a horrible pile up, and glad to see all concerned walk away) This left Sam & Charlie in stately isolation, but with nearly three miles and fifteen fences to jump all alone! A daunting prospect for them both, although Sam did not seem at all bothered and had a nice canter round with a schooling session thrown in! Well done Charlie on completion of a tricky task! They got an enormous cheer as they jumped the last, and Sam was happy to record his third victory! Winner number 17 for us - don't care how they come, a winners a winner! Garrahalish had run earlier and ran a nice race to be 2nd after six months off the track, slightly out paced three out, he got his second wind and ran on to be second. The ground was quick yesterday and we did have dilemmas about running at all, however the chase track was better than the hurdles, which was frankly awful, and Robin took Celestial Chimes out to save her for another day. Great to hear the horn tooting as the team got back last night - thanks to Brian Wilson for taking them as our big lorry was off eventing training! Clean sweep for Harriet T & Ceris on the BTO front, with both horses looking immaculate, and some nice comments from Matt Chapman about how well out team turn out every runner. flat racing tomorrow and then lots of entries for next week, could do with some rain, everywhere getting very firm, very quickly. VERY cold up on top of the hill here today for the annual Easter Egg Hunt! (yes you did read that correctly) Tougher this yea, as costume effort required prior to said hunt! Easter Bunnys & Chicks all riding out today! Happy Easter to everyone - hope you enjoy the holiday weekend! An added extra entry to the blog this week, with WINNER number 16 of the season yesterday. I think it fair to say that The Park Lane Partnership have had their patience tested by Bally Lagan, who has always seems to manage to be the bridesmaid and not the bride! Lots of placed efforts, but only one number one in front of his name until this season, but a tweak to his wind has made a huge difference and we suddenly have the horse we always thought was there, but that could never quite see out his races. Not feeling over confident yesterday after a 6 lb hike in the weights - just hope the handicapper was not watching too closely yesterday! Jack has certainly struck up a great partnership with Bally and always looked supremely confident. He travelled well and gave a display of jumping, and after being sent to the front three out won tidily by 10 lengths. A noisy bunch of Park Laners were there to cherish the moment of a third win in a row, and Anna Lisa gave a great interview to Bob Chapman! Plenty of noise also being made at various other venues around the country, including bookies in London & bars at Aintree where other Park Laners made spectacles of themselves cheering him home! Brilliant, just wish we had film of everyone watching the race, although glad that there is no film from here!! Bally well pleased with himself today, shouting for his breakfast at 5.30 this morning and out for a brag with a mate, telling him just how clever he is! BTO for Ceris too, so a clean sweep for the team! Always busy here but seem to have been taking that to a whole new level lately! Quite a few runners since the last entry here, and another winner! We have been waiting on some better ground for the pocket rocket that is Galactic Power and so the EPDS Twitterati group have had to have their patient pants on. Finally good ground arrived and the lorry set off to Exeter, with GP and La Fille Francaise, who was in exactly the same position. All well until they unloaded at the track and then the heavens opened! Having got all the way there it was decided to run, but hopes were not high for a repeat of his last win as GP rapidly changed from chestnut to mud coloured, and was virtually invisible by the time they turned for home. After being held up in the early stages, Jack produced GP with perfect timing coming to join the leader at the last and going on to win by a couple of lengths. This brought up winner number 15 for the season and took us past our best ever prize money total. Delighted for the EPDS team who had been so patient with him and even more pleased for little GP who is an all round thoroughly nice person. La Fille Francaise, who is a lovely filly by Kapgarde that we bought at Doncaster last May, and is still a very raw article, with plenty of strengthening up to do. She ran an absolute blinder to finish 4th in the bumper, and Louise Merry & Julie Venvell have an exciting prospect on their hands. The opposite end of the country for The Lion Man, and the ground on the softer side than needed for him. Given a positive ride by Connor Shoemark, he was happy enough until the chips were down, and then Connor worked a lot harder, and came in a lot hotter, than TLM! TLM is bloody frustrating as he has bags of ability but not the resilience of the likes of Galactic Power when under pressure. He will be better on better ground, and hopefully will show himself in a better light through the summer. The ground at Warwick was worse than atrocious, personally I do not find it a very edifying site to see horses finishing so tired that its literally the last man standing. Timons Tara & Young Lou both finished second - strong effort from Young Lou. Charlie pulled Dontmindboys up two out - he would have been third (only two finished) but Charlie said he would have done the same even if he had been in front, as the horses were walking home. The great thing about having a stable jockey, and jockeys that ride regularly for you is that they have their eye on the bigger picture, and its not all about one race. Rather than risk a tired fall Charlie brought us a horse home in one Rpiece for another day. All Is Good was another horse that was a result of one of mine & Charlies shopping trips to Ireland, and arrived here at the end of last year. A good looking Scorpion gelding he had had one run in a point to point and would have gone very close but for tipping up at the last fence. He was quickly snapped up by The Tricksters as a stand in for their lovely horse Under The Phone who is having an enforced break this season, and a new partnership called The Goodies, which is made up of some existing, and some new owners. A horrible foot abscess held us up for a while, but a nice opportunity at Market Rasen saw a lovely debut run for 'Rolo'. He was very whizzy when he came, but he has calmed down a lot a popping out in front and the addition of a hood saw him travel & jump like a seasoned campaigner, only to be out done up the run in by a hot favourite, with a lot more experience. A super first run, and much to look forward to. Some Finish did not try a yard, and pulled up down the back. Work to be done. Afterthisone made his racecourse debut, at Doncaster and had a difficult time in the early stages of the race, having dwelt a bit in te stalls he then got cannoned into by another rather wayward runner and his chance was gone. Its hard to make up 10 lengths over a 5 furlong dash. Everyone home safely though, and will be out to fight another day which is the most important result of all. In amongst all the runners we had organised a fund raising quiz for Megan who is running the London marathon in aid of Racing Welfare. About sixty people supported the quiz in the village hall on Friday, and a fun evening was had by all. A million thanks to Terry & Mandy Poulson,who had devised the questions and acted as quiz master & scorer. It was a really good evening, even if the questions made the brain ache at times! Great to see owners, friends & locals all enjoying it and along with donations from those who could not be there, raise an amazing £900 for the charity. Fantastic! Megan has now raised £1800 and hoping to get to the £2K mark before the race. This Friday we are holding a General Knowledge Quiz in Great Alne Village Hall. Megan - our head girl is raising funds for Racing Welfare by running the London Marathon at the end of April, and the quiz is to help her raise her goal of £1500 for the cause. Please come & support Megan, and enjoy a fun evening. Just about finding the energy to type today after an absolutely manic week! Warwick on Monday to start the week off - Timons Tara finishing 4th. Perhaps a shade disappointing, BTO for Ceris. Cheltenham its usual incredible spectacle, which we were expecting to be spectators only this year! Thomas Crapper our only entry & needing in excess of 50 to come out for him to get a run! A casual look at the declaration list and about a dozen counts to 24, confirmed we were in! Charlie straight into the bath to do 10st 1lb!! Cheltenham very accommodating re badges, and could not have been more helpful in getting everyone in. A good turnout of Crappers - which was great considering it was such short notice!! Crappy always a fan of the big occasion, and did not let us down again. Given a super ride by Charlie, he was foot perfect and came there with every chance, just getting done for toe up the run in to finish a very, very respectable fourth. The winner probably a very well handicapped horse, and we could not be prouder of TC. He was completely convinced that all the applause in the winners enclosure was solely for him! Three festival runs, and three placed efforts - well done Crappy! Happy to say he's fine after and is entitled to have a few days out to play. Thank you for all the messages & good wishes both before & after the race - he certainly has a fan club! Several owners here through the week before racing, including John Porter back from his travels, Kevin Bacon (Donntminddboys), Mel Waller & Mark Mathews, (Get Involved & Some Finish) and also Jane Nicholls, who came to see Myroundorurs & Oneida Tribe. The B & B full up with race goers, so plenty of breakfasts to cook this week! No time to pause for breath after the festival & off to Kempton on Saturday with Get Involved. GI has been a cause for concern all winter, for a variety of reasons. He was not himself at all, and ran accordingly. Parting company with Charlie twice when not jumping well, then pulling up. However a few days hunting and a change of routine seems to have done the trick, and a much improved run at Newbury last time was followed up by a very much improved run on Saturday to finish third. Jumping for fun with ears pricked, he looked to be loving it. He finished third which we were all thrilled with! Safe to say the horse we thought we had, is back! Delighted for The Point of Attack Partnership, who have been SO patient with him, and allowed us the time to get him right. No runners yesterday but a 4am start to go eventing - back at 9pm, and no pause for breath through the day!! We think racing is a mad world - at least we rarely get days that long! Southwell today with Vocaliser and hoping to put his Newbury run behind him. The rest of the week looks equally busy - Wetherby & Exeter tomorrow, Warwick Wednesday. Delighted to report two more winners this week. Bally Lagan up 9 lbs for his Leicester success set off for Taunton in need of good ground. Slightly concerned the track too tight for him but no other ground options anywhere in the country! Not the greatest contest ever seen, but decent prize money. Bally going comfortably when making his only error two out. Not awful, but enough to give his nearest rival hope, and for us to think oh B****r another second! However after pinging the last, BL really got his head down and fought it out (not something we could ever accuse him of before!) prevailing to win by 21/2 lengths going away! Super victory for The Park Lane Partnership, who had sadly lost one of their number recently. Cyril & Mary Payne have been owners with us for many years, with Macy, Aside The Sea & Dr Rocket amongst others, and have been in Bally Lagan since he arrived from the sales. Sadly Cyril passed away at the beginning of February. A great character and responsible for a few excellent winners parties over the years, he will be sadly missed but remembered fondly. Our condolences to Mary & the family. Sandra & Tim Bickerton, along with David Agar on hand to greet Bally. Newbury on Friday & Saturday. Bettalatethanneva having her third run over hurdles for Tabitha Worsley. hated the ground but ran OK to be 5th. Get Involved fresh from the hunting field travelled and jumped much better - just got tired from two out, which, as it was effectively his first run of the season, he was entitled to do. Much improved though and hopefully his confidence building again now. Back to Newbury on Saturday, and after much heated debate about the ground, in the Dickin household, Thomas Crapper got the green light to run in the Greatwood Gold Cup. Chartering a wide course for better ground Charlie & TC always happy, jumping for fun and after passing three in the air at the cross fence took it up turning for home. Mild panic in the ranks, but no need to worry as TC just galloped away from the field to win by an astonishing 20 lengths! TC loves the big occasion, and had naturally assumed everyone at Newbury was there to see him - he lapped up the considerable applause that he received, and was a lot calmer that the rest of us who were pretty overwhelmed by his victory. He also stuck two fingers up to a certain local trainer, who was heard to say, that with TC in the race, at least they were guaranteed to beat one! A great ride by Charlie, and a well deserved big one for TC who has run many gallant races to finish second to some really decent horses - including Don Poli! Delighted for the partnership who own him - Apis.uk.co - affectionately known as The Crappers! Sadly they were a bit thin on the ground on the day, but wild cheering heard from many corners of the country! High hopes for Vocaliser in the next race, who had most of his team there to support him. After a great run last time we were hopeful of a double, but sadly the very soft ground stopped Vocaliser in his tracks. He finished 4th, but the writing was on the wall from early on, and Charlie reported that he just could not get through the mud on the hurdle track, which was a lot softer than the chase track. Happy to report that all of last weeks runners home fine, and have had a few days out playing in the mud! TC's victory took us to 14 for the season and over the £100k mark in prize money. Delighted for the team and our loyal owners. Onwards - but no runners this week, until entries next w/e, and then the small meeting at Cheltenham next week. TC our only entry this year, but he is unlikely to get in. If you are down for the festival and fancy a morning on the gallops - do get in touch, its a great way to start the day off! Not quite such a hectic week this week, with only a couple of runners. Some Finish had a spin over hurdles, which although should help his jumping right, was not really for him and Charlie pulled him up two out. Tests to be done on SF as he is not really firing at present. Better from Timons Tara at Leicester where she finished third to a decent looking individual. A busy morning with Graham on Thursday with some repeat scans, post treatment of a couple of injuries. We have been using PRP (Platelet Reinforced Plasma) on tendon injuries for a while now and are getting some really good results. Both the scans that we did this week are looking better than expected at this stage of their rehab, and an increase in their exercise program now starting. The damaged fibres mending well, just a case of getting them strong now. Nice to give their owners some good news! Get Involved went off for another days hunting on Saturday, this time with the North Cotswold Hunt, they had a busy day, he behaved impeccably again, and also jumped quite a few different obstacles which he handled brilliantly. Harriet was also delighted to report that he really didn't want to get passed when galloping across a few fields, picking up the bit and quickening up nicely when anyone tried to go past him - hopefully his competitive spirit being restored! The pair came back looking pretty muddy and not sure who enjoyed it most! Nice to have Emily Bliss to ride out on Saturday morning. Emily, who is an old Pony Club friend of Harriet's is riding in the Property Race Day charity race later in the year. She has always ridden but wants to hone her race riding skills, so will be riding out regularly before the race. Chris Dickin, who rode in the race a couple of years ago is now organiser, so no pressure on Emily to win it for the home team! Just got to find her a speedy horse to do it on! Another fund raising at present is head girl Megan who is running the London Marathon in aid of Racing Welfare. Bonkers! We are hoping to hold a fund raising quiz at the end of March - details to follow shortly - so please bear it in mind, and get a team together ready for action! We hope that many will be able to come and enjoy a fun evening and help Megan raise money for a worthy cause. Only entries at Huntingdon this week, but next week looking a lot more interesting on the runners front! Last week rather ran away from me, and apologies for no blog! A real busy week, starting off with a pick up from Birmingham airport first thing on Monday, with Suzanne Lynch flying in to see Onieda Tribe. Back out again on the lunchtime flight, so a real flying visit. A visit on the same morning from Tim & Sandra Bickerton & Dave & Linda Hern who came to see All Is Good. Great that they loved him as much as we do and a new partnership now set up in him between The Tricksters & The Goodies. The Tricksters own Under The Phone who has picked up an injury and is missing this season (well on the mend now), so great for them to have an interest in another horse, and The Goodies are made up of some existing, and some new owners in a new partnership. Looking forward to AIG running shortly. Great news for the Just 4 Fun partnership, with Garrahlish getting the all clear to resume training. He has been on light duties due to a niggly injury, but heading back to action now. The team having to sit tight on a few others who have been on a break. Tara Well, Jackfield, Myroundorurs and Anti Cool all very fresh and pleased to be back in work. Young Lou at Southwell, and finishing a slogging on 4th under Tabitha Worsley. The race turned into a war of attrition, in terrible ground it was a good run from her. The first Saturday of the month meant Open Morning, and great to see so many faces - some familiar, some new, here to see the horses on a beautiful morning. thanks as always to Terry & Mandy Poulson for coffee & cake duties. A busy day on Wednesday with Timons Tara & Bettalatethanneva both at Ludlow & Get Involved & Some Finish out for a day with the Worcestershire Hunt. TT not able to follow her Uttoxeter win up with another and a very fast pace over hurdles probably catching her out, fine after & she will be back to form. Bettalatethanneva running a nice race. The hunting boys had a fun day out, GI impeccably behaved SF enjoying the sport, and getting quite lit up about it all! Hopefully given them both something else to think about. A change of scenery and a break in the normal routine often great for horses in training. Thanks to Andy Shaw & the Worcestershire Hunt for letting them out for the day. Dontminddboys has been a model of consistency this season, albeit with placed runs, but an extended three miles in very tacky ground round Bangor on Friday not to his liking, and although he would most likely have kept galloping, Charlie wisely pulled up up once his chance of a place was gone. A stiffer more galloping track much more in his favour. Shame not to have been able to greet the EPDS family with another winner on Saturday morning, when they came for a yard visit. Possibly the coldest morning of the year, but at least the snow abated and it was dry for them to watch the horses, and see their recent Catterick winner Galactic Power. Anti Cool viewed from the kitchen window as the aga proved invaluable for defrosting everyone! Great to see such a good turnout, and hope they all enjoyed the morning despite the cold. From EPDS visit to Warwick in the afternoon. A complicated sort of day as Harriet out with her team who are nearing the start of their season, and out for a competition, Young Lou the easiest horse to do & also Wildmoor Boy - who as we all know is not! Quite a bit of running around in different directions, and many thanks to Louise Sherlock for the loan of her lorry which made the battle plan much easier! Young Lou struggling with her breathing down the back, then getting it sorted to run on to be 5th, Wildmoor Boy so consistent and running a great race to be third. He is getting better in the preliminaries and even spent about ten minutes in a stable before & after the race, and also giving the girls a much easier time in the paddock. Cold it has been in our house over the w/e with the boiler on the blink - happily a day away yesterday (Chiltern trains much warmer than the house!) for a family day out in London to see 'The Comedy about a Bank Robbery' at the Criterion theatre. My sister in laws' godson, Jeremy Lloyd playing one of the lead roles, and a very funny play - thoroughly recommended if you are in town! Its always hard to get away anywhere at this time of year, but once we have made the effort well worth it! There is always a reason not to go, but great to have a day with the family away from everyone's demanding work schedule! Nice to get to London occasionally but couldn't cope with it on a daily basis! Today is my amazing Mum's birthday. I won't put how old she is or I will be in serious trouble, but 'Happy Birthday' Cathleen Weaver - hope you have a great day! A Great week on the whole – especially as winners 11 & 12 came up! Galactic Power has been a super sub for EPDS Racing and taking over in their Twitterati Partnership this season. A very popular character who rarely runs a bad race – he was a good third at Taunton, before making the long trek up to Catterick last week. His preparation not without hitch – a foot abscess keeping the team busy and testing my farriery skills, along with the more skilled ones of our farrier Charlie Sands. Many buckets of hot water and patient sitting in the cold by Harriet T, and we made it to the track. Chris Ward up & taking a valuable 5lbs off. Little GP looked beaten all the way until growing a pair of wings after the last and flying up the run in to win by a tidy 3 lengths! Delighted for the EPDS team some of whom were there to cheer him home, and encouraged I am sure, by much encouragement from many others around the country! Including the home team – some of whom were in the lorry on the return trip from Ludlow! Happily no police in sight at the time, or they may well have wondered what on earth was going on in the cab of the big lorry! BTO for Megan. Less polite words can be used about Timons Tara who has her own very strong views on life! Full of ability she is a tricky customer, who Is looked after very ably by Ceris. She certainly had her hands full in the paddock at Uttoxeter on Saturday – BTO for Ceris -but once Jack on board and she was off down the track all was well. Really unlucky not to win the week before when tipping up after a novicey mistake when looking to have the race won, Jack & ‘Billy the Filly’ were not up for any mistakes this time. She jumped straight & true and put all of her rivals to the sword a long way out. Winning in a canter with ears pricked! Great result for Mark James who sadly was not on hand to see the race but was represented by friend John Martin who kept the rest of us entertained after the race! An easy drive back for Ceris & I and plenty of horn tooting up Park Lane! Taunton & Doncaster rather less successful missions, Routine Procedure stopping rather tamely but lame the next morning, so something clearly amiss. Kitegen not enjoying Taunton, The Lion Man looking very one paced in the race but running on well at the end. In many ways glad not to be at Cheltenham, sad of course not to be able to be in two places at once for our runners, who have both come back fine after their races. Thomas Crapper his usual brave self, Get Involved disappointing but confidence having a big wobble at present and a run back over hurdles on the cards for him. However seeing the screens up after watching Many Clouds beat Thistlecrack gave a sinking feeling of dread. Sadly Harriet rang to tell us the news – everyone as stunned as the crowd at Cheltenham. 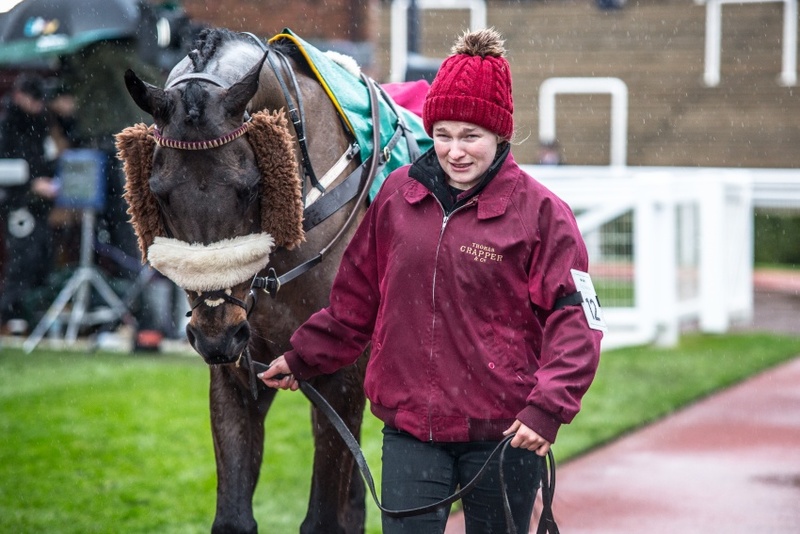 A day we all dread with our gallant warriors, and it was easy to see how much Many Clouds has meant to the Sherwood team over the last few seasons. How on earth Oliver did that interview on ITV I will never know – personally in tears just watching it. Brave man who did our sport proud. Our condolences to Mr Hemmings and all the Sherwood team, but what some memories they have – and no one can take them away. It just reminds you how important it is to enjoy the moments when horses win, and indeed just run well. The keyboard warriors who have penned some pretty terrible lines over the last few days will never understand the love & care these horses get from those who own and look after them, and also from the NH fans who follow their careers and care for them from afar nearly as much as those closer to them. A frustrating few days! With good bits! 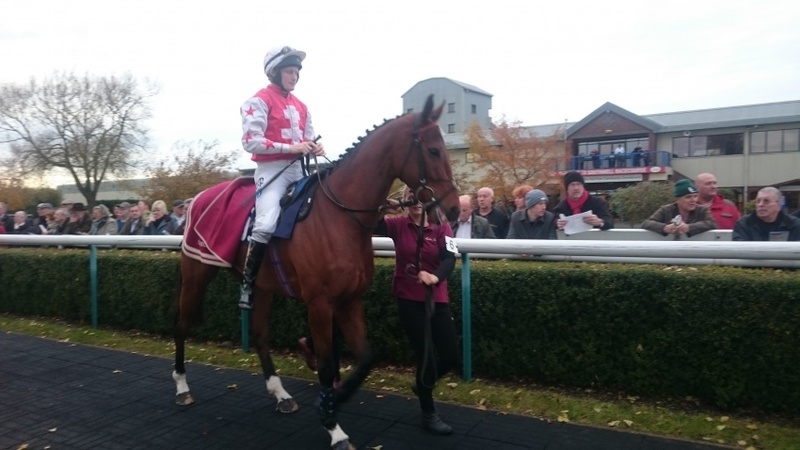 Exeter on Tuesday with Dontminddboys, who is turning into a model of consistency - Charlie able to ride him much handier and he jumped impeccably and travelled much easier through the race - to finish a very respectable third. I don't think this horse would mind how far you ran him he would still be staying on! Get Involved much happier at home and hoping for a good run from him at Newbury - however a difference in opinion in where to take off resulted in a parting of the ways at fence two! Not plan A!! Both Charlie & GI fine after! Timons Tara also in a good place at present - she is not the easiest person to deal with and takes time to come to hand but apart from jumping markedly left she was running a blinder at Ludlow on Wednesday and appeared to have her rivals beaten when making a novicey mistake at the first in the straight, clipping the top of the fence and it was game over! Our first faller for a good long while, and hopefully the last for an equal amount of time! Both 'Billy the Filly' and Jack fine after. Swear box rather full! Vocaliser is another that has taken a long time to get his act together - a good run at Sandown on his penultimate run to be third, but he was then given no chance at Ludlow last time. Really needed a good run at Haydock - and that we got! Settled handy he has a last stopped ripping and tearing and gave himself every chance! The plan always to give him every chance to finish his race off, and he stormed home to just fail by a neck! Delighted with the run - obviously frustrated at second but pleased at the same time! Delighted for The Songsters who have been so patient with him and given us the time to get him right. Lots of visitors this week including Paul & Marian Davis who came on a very cold Saturday morning via C & D Stable Tours. Great to meet them, and I think they were very glad of a nice warm kitchen once we got in for breakfast! Damp & very gloomy here today - still pretty dark when first lot pulled out. The horses having a rare day in yesterday as it was much the same, and they really don't enjoy standing around in the rain! We turn out everyday except if its frozen or pouring down, but this time of the year a quick scoot around, and a roll in a muddy bit seems to be enough for most of the horses - they are then waiting to come in! Warwick on Saturday with Wildmoor Boy - a deep intake of breath as we set off at the last possible minute, to be at the course for as little time as possible! An uneventful journey and an only quite warm horse as we arrived (as opposed to a dripping one!) and 'Mouse' also agreeing to stand in a stable for about 10 minutes - progress!! Getting the saddle on was as difficult as ever, but he was then relatively well behaved in the paddock. Megan & Ceris dong their usual sterling work in hanging onto him, and as always once out on the track he was a good boy. We are so limited as to where we can go with him it was not really ideal for him to be lumping round a huge weight, but it was either that or stay at home. Given a super ride by Charlie he jumped and travelled really well in ground that we were nervous about for him. Made all until just getting collared at the last - stayed on really gamely although tired up the run in. Really delighted with the run - brave little horse - and also that he seems to be starting to cope better with the preliminaries. Long way to go but at least improving! Great to see most of the Park Lane Partnership here yesterday to have a small celebration of Bally Lagans win at Leicester last week - a really nice group who have had to wait a fair while for his win! Shares available in Bally Lagan - do call if you would like to get involved with this friendly bunch!! Exeter tomorrow with Dontminddboys, possibly Newbury Wednesday and Ludlow Thursday this week. Winner number 10 for the season at Leicester yesterday! Bally Lagan has on many levels been a frustrating horse over the years. Rarely running a bad race but also rarely getting his head actually in front! However yesterday was his day and under a great ride from Jack Quinlan cantered to the front two out and then won nicely by a couple of lengths! Happily a good turn out of 'The Park Lane Partnership' who own him were there to cheer him home. Four runners at the meeting so the team busy, but doing us proud with four immaculately turned out horses - sadly Leicester too mean to bother with turnout prizes yesterday. Routine Procedure having his first proper run over fences and jumping like a pro to finish fourth - a good run from him and definitely now progressing in the right direction. Whispering Nick ran Ok for his third hurdle run but Some Finish too awful to be true - never really going - tests to be done. The one positive from SF was that the violent right turn in mid air was much better - this after a schooling session with Yogi Breisner on tuesday. Yogi is a genius at helping to iron out jumping issues and we had a very productive morning jumping a few with him. Great to have Mel & Elaine Waller & Nicki Preece & Julie Venvell along to watch - they were all fascinated watching Yogi at work! The team also get a free lesson and Routine Procedure, Get Involved, The Lion Man & Bettalatethanneva all jumped too. Interesting to then see a change of jumping style as Harriet had a lesson on her event horse. Little Galactic Power has been a consistent sort but got a fright first time over fences when one fell right in front of him at the first fence. We ran him back over hurdles at Taunton as a confidence booster, and he ran a super race in a big field (17 runners round Taunton was as surprise!) to finish a creditable 3rd. Chris Ward rode a lovely waiting race on him and produced him just right, only for a mistake at the last to probably cost them second. I don't think we would have caught the winner - but a good run never the less. A good turnout of the EPDS Twitterati who GP is running for this season - shares available in this bonny horse - and the club an excellent and economic way to get involved . Contact us or John Powell at EPDS for more information. 'The Big Storm' did not really materialise yesterday although it was pretty wet at Leicester - we did see about three snow flakes as we were loading to come home, and have woken up to a dusting this morning. Weather being ridiculous at the moment, varying from -7 to +9, difficult to know what to put on the horses, duvets the usual attire at this time of year, and needed in the frost, but next minute they are all sweating! we had a couple of days of delayed riding out so that the frost had come out of the gallop and it was easier on the hands and feet by later in the morning! Frozen ground and pouring rain are the only times we don't turn out, and we always hope for not too many days in a row of that or else the bucking and kicking when they do get back in the field is just too nerve wracking! The weather really not helping us at Cheltenham on New Years day - hoping that it would hold off until after 2 pm when Thomas Crapper was running - sadly the weather Gods had other ideas though and it p****d all morning, and the ground was very much against us as TC not keen on a bog! However he ran a blinder to be 5th and was right there until the last when the ground stopped him. Some brilliant shots of the two Harriet's taken by the Jockey Club photographer which I will attempt to up up here later! Great to see so many 'Crappers' there braving the freezing wet day and also great to have TC back running so well. He bounced out of the race and was bucking during his next morning trot up! Probably back to Cheltenham for him on Trials day. Young Lou disappointing at Hereford, but things not going to plan for her during the race and she expressed her disapproval at the business end of the race! Fog was the order of the day on the trek to Wincanton on Saturday, very patchy and dense as we arrived but then lifted, only to come down again as we were standing in the paddock with Oneida Tribe.A commentators nightmare, and very nerve wracking when all you could see were the last two fences! 'Ian' hated the gluey ground but ran very well to be 4th only beaten four lengths. He jumps like a pro and there will be better days than that for him. At last a week in a normal routine this week - seem to have had trouble knowing what day it was for the last couple of weeks, Christmas would be so much more convenient in June! The team working on, although we did manage to get some time off in for everyone, and some half days on the bank holidays! Trees down now and everything put away till next year - when i WILL be better organised!! Technology is a wonderful thing - when it works! As many of you are aware we have been having more than our fare share of 'techy' issues lately which has made me pretty 'tetchy'!! As a result of all the hassle, Christmas Greetings from Alne Park, could well be construed as early for next year! 'Seasons Greetings' from us all here and Best Wishes for a Happy, Healthy & Prosperous New Year, filled with plenty of winners. A huge thank you for all of the support through the last twelve months, especially from our wonderful owners and their amazing athletes. Thank you to the Team at home who have worked so hard to produce the goods - we certainly couldn't do it without them. Rather a long gap since the last blog – busy all round at present, so apologies for lack of news - this will probably be a long one to catch up!! On the whole the horses running very well which is pleasing – always frustrating not to be in that #1 spot but much to be taken from some progressive runs. Routine Procedure back after a long layoff for a niggly injury – he has always been a horse that we have thought the world of at home, but never really got his act together on the track. Looked a picture in the paddock and ran very encouragingly. Travelled and jumped well to finish a running on 6th. Happily all cold after the run! Timons’ Tara at Warwick not taking to fences on this day – better to come from her. Bally Lagan a non runner after a storm of monsoon proportions! La Fille Francaise & Okmyway both running nicely in the bumper on racecourse debut. Nice to have Young Lou back out again and running her usual solid race to be third at Uttoxeter. Dans’ Quest also back from a long lay off at Hereford. Dontminddboys a tad disappointing first time over fences at Towcester – ground nowhere near as soft as we thought it would be, and a manically run race not helping at all. He jumped well though and there is much more to come from him. Some Finish ran a blinder to be second – again not helped by ground quicker than needed for him, but much happier right handed and just getting mugged by one up the Towcester hill. Amazingly we still have shares available in Some Finish – great value and a fun group to be involved with – what better Christmas present could anyone ask for?? Leicester chase and hurdle track as always an enigma – soft on the hurdle course and firm was the polite version of the chase track! Bally Lagan again a non runner for the opposite reason to last time! Wildmoor Boy venturing further from home – it seemed an awfully long way in the lorry! Up 10 lbs. He ran Ok, but feel he may have left his race on the M69 to some extent. Back to Warwick & Cheltenham! Twycross Warrior a shade disappointing at Ludlow, Whispering Nick another solid bumper run to be 5th. Young Lou following up her Uttoxter 3rd with a game 2nd at Southwell – annoyingly just coming up against one well handicapped one on the day! Vocaliser has been another that has been causing some head scratching but put all that to bed at Sandown with a really good run to be 3rd. Going clear at the second last he slipped on landing and nearly parted company with Jack, who did well to get his head back up and keep him going to finish a battling 3rd at 40/1! Happy Songsters! Get Involved and Charlie had a parting of the ways when GI jinked around another jockey on the floor! It was some nifty foot work from him and gravity took over for Charlie! Both fine after! Routine Procedure ran again at Uttoxeter and finished a good 5th – ground too soft for him and he did not quite get home after travelling and jumping well throughout. Frustrating but still a huge step up on last season’s form. More to come from him! In between all the runners a quick trip to Ireland resulting in a new arrival at any minute this morning. An exciting four year old by Scorpion who is well related and an exciting prospect. He is for sale so do give a call for more details. As well as the Irish trip a rather longer one for Harriet as part of a GB team to Stockholm show. Harriet was co driver in one lorry and by the time they arrived back had shared the driving of a 2,700 mile trip! 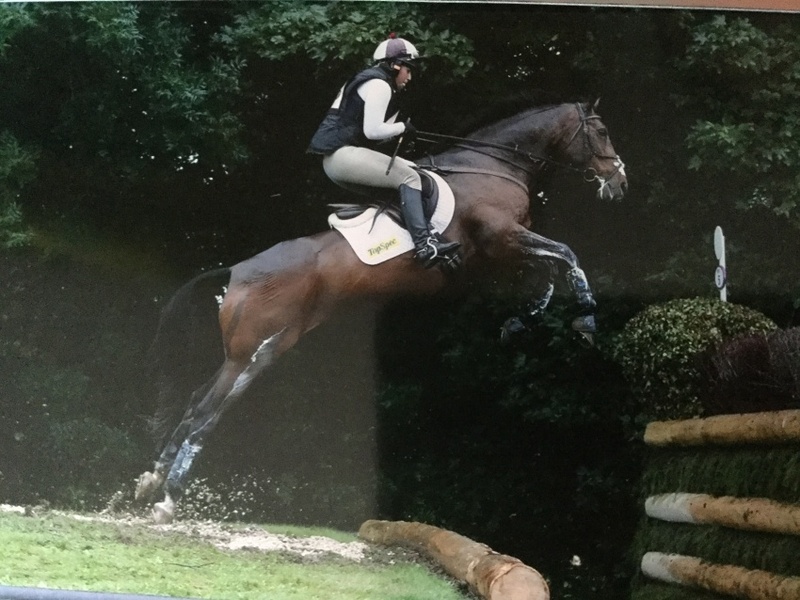 Her horse jumped really well in an electric and very noisy atmosphere – it was like being at the Horse of the Year show – an environment the event horses do not usually face , so we were thrilled with how he went. It was a fun few days – much easier for the support crew who flew in – we were well looked after by the hosts and it was a fun couple of days. Also did a bit of sightseeing around Stockholm, which was a very clean and interesting city – but very expensive!! The team here fighting coughs & colds with the constant change in temperature, (-8 on Monday - +13 on Thursday – ridiculous!) but still soldering on! Megan ran her first half marathon yesterday in a very respectable time. Harriet T qualified her puppy for Crufts. Well done to both of them. Great to see lots of owners and friends over the last couple of weeks, and Christmas preparations going ahead – albeit slowly & with not much enthusiasm! Foals weaned his week which was more traumatic for us than them – feeling terrible about splitting up mothers and sons, but they were not bothered in the slightest and glad to be in for some extra food, and out of the rain on Saturday! The lads are busy fencing at the moment and replacing some old post & rails that have seen better days – all looking very smart! One sad note this week – our old cat Marmalade – chief mouser at Hill Farm, departed to the mousing ground above! Everyone pretty sad about her departure as she was something of a legend here. A few runners later in the week – all ground dependant – bizarrely in December, needing rain!! Routine Procedure - pleased to be back at the sports! A manic few days for the team here, and only finding time to draw breath briefly today! Two runners last Thursday at Towcester – The Lion Man too bad to be true last time, bloods not quite right after and possibly the visor having a reverse affect, so off this time and a change of tactics. Rory looking much happier out in front and running a hugely better race to finish fourth. In many ways he is still a big baby and lacking in confidence but he travelled well, jumped superbly and Charlie was chuffed with him. Whispering Nick an exciting prospect and confirming that on the track finishing a decent 5th in the bumper. Back to gallop at sparrows the next morning with four – a morning marred badly, by an injury to a lovely filly of Charlie & Frans’. Our gang all galloped OK but it was hard to judge things properly when dealing with other things. Home and straight off to Cheltenham with the enigma that is Wildmoor Boy! WB has had his antics well documented, and it was with a large intake of breath that Megan, Ceris and I set of for Cheltenham! Having only ventured as far as Warwick And Stratford, for previous runs this year, it seemed a good way away, and judging our late entrance just that bit trickier! All went to plan though, even if Mr Beech will owe the girls a new pair of boots for all the walking as he just will not have it in a stable, so much walking required! As we are so limited with where we can go, it's tricky to find races, and although WB probably wants further, 2miles was our only option, so it was up to Charlie to make it into a stayers race! This he achieved will great skill. In front all the way until landing from the last when we all thought 'oh bugger' it's going to be second (would still have been a great result! ), however once headed the Mighty Mouse was not going to be denied! He fought back under a strong drive from Charlie and they won tidily going away from the second horse! Unbelievable, emotional, and altogether bloody fantastic! No voices left from us, and there was a good chance Megan would beat them all up the run in! In to a wonderful reception from the crowd, no finer place to be that that winners spot. A great lift for Charlie after the events of earlier in the day. Delighted for Cliff Beech & Brian Wilkinson and the whole Beech family. Cliff has had horses with us for many years, this his first Cheltenham winner. Sad he was not there but plenty of cheering from him at home I am sure. Then you have to get WB home............! All well though and happy to see this little toughy trot up on springs the next morning, looking pretty pleased with himself! The horn working well up the lane and great to celebrate the win with all of our super team, plus John and Ellie of EPDS fame who were staying prior to a yard visit the next day. I seemed to have a lot for the recycling bin the next morning! Lovely to see members of EPDS racing here to see their boys. Anti Cool, Dontminddboys and Galactic Power. Shares are available in all of these talented individuals and it's a great set up to be involved in. Do call if you would like details. No peace for the hungover though, and back to Cheltenham with Thomas Crapper, and off To Uttoxeter with Galactic Power. First time with a tongue strap after a couple of disappointing runs. It worked and he finished a valiant 6th in the big race of the day! Probably a PB for him, and he does so love Cheltenham! Little GP a firm favourite here and back from a long lay off. He was given a lovely sympathetic ride by Chris Ward and finished 3rd on very soft ground, which he would not relish! Everyone back in one piece, which is always the priority, the team pretty exhausted and a relief not to have any runners on Sunday! Southwell today with Routine Procedure – first run back after a very long lay off so safe home a priority! A mixed couple of weeks – mostly spent praying for rain! Unbelievable how dry it’s been, and the same in Ireland when we were there last week – dust seen where only wellies have ever been required! At last some of the wet stuff arrived last night, although not sure if it will be enough to make a huge difference for a while. The dry weather instigated a long trip to Carlisle for Dontminddboys to find some decent ground for his first race for a good while. Three and a half hours up there well worth it, as ‘Caspar’ ran a really nice race to be 4th. No mean effort after over 500 days off the track. The edge taken off the day with a homeward leg that took five and a half hours! Lorry lag for Robin & Megan but Caspar a star traveller with Tommy for company. He will now go chasing and there are shares available in this stunning grey, if you want to get involved please give a call or contact John Powell at EPDS Racing, you could make a lot worse decisions that getting involved with this horse! No peace for the wicked, and off to Hereford the next day with Twycross Warrior who also ran very well for another 4th! The handicapper thought he ran extremely well – giving him a mark of 107. The ground unsuitable for many of the team to run which is frustrating all around – this probably included Celestial Chimes who ran in the bumper at Warwick, and gave a somewhat underwhelming account of herself! She has been working nicely at home but the occasion rather got to her and combined with the quick ground it all happened rather fast for her and she never got into the race at all. Bounced out the next morning – very untired!! Thomas Crapper also 4th at Ascot – disappointed with him but think a reason now found! Last Saturday was Open Morning and amazingly it did not rain – it was however very windy and bloody cold! Great to see a nice turnout of faces familiar and also new, sustained as ever by Terry & Mandy Poulson on the coffee and cakes front, and also Julie Venvells’ delicious offerings! Thanks as ever to them for all their help! A couple of days in Ireland last week, a day of backs on Tuesday and a catch up with friends, then an early pick up at the airport to retrieve Robin & Charlie and a standard tear around to view a bunch of horses and for Charlie to ride several of them. Narrowed it down to a couple and hoping to add to the team. Lack of light means a not too late finish, and time for a glass or two before the flight home. Lack of car keys meant things not quite so easy once back in Birmingham!! Lots of visitors including the West Berks Racing Club who were here in force prior to an afternoon at Stratford races. A very knowledgeable and enthusiastic bunch – it was a pleasure to see them all. Also having a proud parent moment this week as Harriet has been picked to represent GB in a team competition at Stockholm show at the end of the month! Her first time in an international team, so delighted for her. The logistics of getting four of them to Sweden less thrilling, but a plan now coming together. Flying in rather easier for myself than three days trucking through northern Europe to get there with the horses! As long as the rain has made a difference runners at Towcester & Cheltenham this week. A busy week with all the team nearly ready to run, just waiting on some rain! Saturday particularly manic, with Robin & Megan off early for teh long drive to Hexham with Bally Lagan. Bacon sandwiches eaten, it was then off to Chepstow with Thomas Crapper & Some Finish. A really decent crowd at the course and a buzz of excitement with winter racing ‘proper’ getting underway! Out two both looking a picture, Thomas Crapper ran well for a long way, but just getting done for toe from two out. He will have come on for the run, and heads to Ascot at the end of eth month now. Some Finish found the graound way to quick and could never get into a rhythm jumping so Jake Hodson sensibly pulled him up (definitely rain dance required!). Trying to keep an eye on Hexham at the same time, and awful to learn that racing was delayed for a good while due to Henry Brooke’s horrible fall. Thankfully he is OK but it does hit the realities of our sport home when incidents like that happen. The delay took its toll on Bally Lagan who was all dressed up and ready to go for a long while, and by the time the race actually happened, I think he had peaked rather early. Jack reported that he did not travel with the same gusto that he felt at Warwick, and although he was fourth I think we were all a bit disappointed. All three home safely though, and trotted up fine the next day. Charlie, Chris, & Jack all in to ride out as usual through the wek, and joined by Jake Hodson & Tabitha Worsely this week. Tom Frost also a regular now, and a great help to have around. Stratford on Saturday and the test for the team that is Wildmoor Boy! Joined by Twycross Warrior who is the complete opposite in temperament! TW ran a really nice race to finish 6th on only his second hurdle start. He will come on for the run, and looks to have a promising future. Wildmoor Boy ran in the ladies race, and although as usual, arriving at the track very last minute, he did not behave too badly, although Megan & Ceris both required for the lead up and both looked pretty warm as he went off to post. WB was given a nice ride by Tabitha – he made all and we thought we had it off the last bend but a good battle with the Irish favourite saw us come off second best. A good run though, and despite all his nonsense, what a little ‘toughy’ he is turning out to be. The third horse was 23 lengths adrift, underlining what a good run it was. Both horses fine on Sunday morning. The clippers rarely stopping at present, and glad to have Kelly Sullivan back on a Saturday morning to help get through all of the defuzzing! No runners until at least Thursday, with Bally Lagan at Ludlow, and then Garrahalish at Cheltenham on Friday. A busy week - ots of schooling and this is a teser to see if my IT skills are working! hopefull the link will take you to Dontmindboys schooling over fences! Very happy to report another winner at Warwick on Thursday last week, with Wildmoor Boy following up his Stratford win with a decisive success in the 2m5f hurdle race. Making all under an excellent ride by Jack Quinlan, ‘Mouse’ jumped well and saw off all challengers to win by 6 lengths. As is documented elsewhere on this blog, WB has been a bloody big handful in the preliminaries, and we thought we were heading for more of the same as we arrived at the last possible minute, and a lot of rearing ensued as the saddle was going on! However, progress is being made as his confidence grows, and Megan & Ceris (it takes two!!) had a much easier time in the paddock as he walked round in a very civilised fashion! Of course that then caused more worry as we then all thought that he was ill! He has always been good once out on the track and once racing but it was lovely to have him so settled in the paddock – the girls needing less washing down afterwards!! The racecourse staff have been very helpful with accommodating his needs – so thank you to them – less can be said for some other parties who seem to think we are up to no good with him! I think the message to them is – you try handling him!! All credit to our brilliant team – especially Megan & Ceris who have coped with him so well –great to be getting back the rewards for their bravery & skill – he is certainly not for the feint hearted!! Odd really as he is easy at home! Delighted for Cliff Beech & Brian Wilkinson & the rest of the Beech team as they have been so patient with him. Tuesday will see what the handicapper makes of the win! The previous meeting at Warwick the week before saw Garrahalish & Bally Lagan making their seasonal debuts. Gorgeous Gary ran well to be fourth, jumped like a cat and made all until possibly slightly needing the race from the second last. A good run though as he had been off the track for a good while with various niggles. Bally Lagan finished third – also a very good run – again jumped brilliantly and no excuses. Two lovely horses and shares available in both! Open Morning on Saturday – first Saturday of the month – a true to form – it P****d down! Also freezing cold! However NH hunt fans made of stern stuff and not put off by the conditions – also encouraged by the thought of Terry & Mandy Poulsons baking, and Julie Venvells’ matilda cake!! Thank you as ever to them for coffee making & cake supplies! We were pleased to be asked to a dinner on Friday to launch the South West jumps awards at Cheltenham racecourse. A really good concept, we were all made very welcome by Chetenham and treated to an excellent dinner. Not entirely sure their introduction a of Racing club was welcomed at this particular event by any than the three trainers involved!! Possibly rather dubious timing with so many other trainers there!! Saturday was another night out (getting too old for this!) and we were delighted to attend our gold medal winning neighbours celebration party. And what a party! All the great & good from show jumping , racing , eventing both home and away there and a fantastic spread put on by Nick & Laura. We felt very honoured to be there and not a party to leave very early!! Sunday a steady sort of day catching up with chores – energy levels flagging somewhat! Kaddys Girl to Southwell today – first run over fences, so hoping for a nice safe round. Good luck to John & Ann Rogers who were here on Saturday to see KD before her big day. Nice to have some time to spend with them, and a good lunch in eth Kings Head in Aston Cantlow. Entries later in the week for The Lion Man & Vocaliser at Towcester (lets hope the canteen has improved) Also Thomas Crapper Bally Lagan Garrahalish & Some Finish. Going to be a busy one! A busy week and the work increasing as the horses get fitter. First entries of the new season proper on Tuesday at Warwick with Garrahalish & Bally Lagan entered. Charlie & Chris in as usual and joined this week on various days by Jack Quinlan, Conor Shoemark & Jake Hodgson. Great to have the extra help and for different feedback on the string. The home team doing sterling work and the new faces settled in well to join the old guard! Rhona O’Connell here on Sunday to see Vocaliser, John Porter & Bryan Daniels here to see Garrahalish and Get Involved and Jane Nicholls here today to see Myroundorurs & Oneida Tribe. Bert & Angela Thompson here to visit their Pastoral Pusuits yearling who is still at Fran’s but will be joining us next week. A couple up to Upton Viva for an ‘awayday gallop’ on Thursday and working well under Charlie & Ceris. Graham Potts back fresh from the Olympics, and giving a couple with injuries the all clear to start work again which is great news. Just need to find the glue after they have been standing in for a good while! The torrential rain missed us last night & today although it seems as if those who had it, had plenty! Bit of a long one here! don't get any ideas Charlie! a couple of pics for those that have asked how Harriet got on at the w/e! First CC!3* completed - Mother a nervous wreck - daughter buzzing!! Thank you all for good wishes etc - always very grateful for the support. Racing blog coming up shortly! The string are coming together well now and just starting to pick up the pace a little – still a fair way to go but they all look well and will hopefully carry on what the summer boys have started! Its a big relief to have got 7 winners under our belt so early on, and makes us even more determined to keep up the strike rate as the season proper kicks off. An exciting new addition to to the flat team in the shape of a Pastoral Pursuits yearling purchased at the recent Goffs Doncaster sale. Albert & Angela Thompson the new owners of 'Pee Wee' who is currently at Charlie & Frans' yard for a couple of weeks quarantine and education. Thanks to The Thompsons for ther support and the best of luck to them with their new venture. Pee Wee will be joining us next week. No jump racing this week, but a big week for Harriet as we head off to Blenheim International Horse Trials for the CCI 3*. This is her biggest challenge to date, (I always thought Blenheim was a venue for shopping with the girls!) Its competing at the highest level and I am frankly feeling pretty bloody scared! Massive luck to H and Bean – a safe completion please! Good to see plenty of jockeys in lately – Charlie & Chris (Ward) regulars, but also joined by Will Featherstone, Conor Shoemark, Jack Quinlan of late. Emily has gone back to Uni, thanks to her for being so much help through the last few weeks – come back soon please! Harriet Turner off this week on a well deserved break with her family. Megan completed her first 5K run yesterday finishing an extremely respectable 15 th overall and 7th best female. Well done Meg great effort. As we are so busy, we are on the lookout for another experienced member of staff, if you are interested please get in touch. We are planning a bigger ‘Open Morning’ for October 1st with a deviation from the regular format, and a parade of the horses. Entry free as usual but donations for the Air Ambulance will be much appreciated – watch this space for times & hope to see you on the day – also hope that its not raining!! A few shares left in some exciting horses for this season – again do get in touch if you would like to join one of our exciting partnerships – they work well and its all the fun at a fraction of the cost. Great to be able to get the red ink out again so soon! Anti Cool due to go up 12lbs for his Stratford victory so a quick turn out necessary to stay ahead of the handicapper – a 7lb penalty the lesser of two evils! Unfortunately the best option was to go all the way to Sedgefield! Not a track that would suit him greatly but the race option was in his favour. AC not a fan of the small lorry so Brian back in harness to take him the four hour drive with Megan in charge! Given a super ride by Charlie AC jumped right slightly all of the way but jumped soundly until slightly fluffing his lines at the last when getting in a bit tight. Charlie did have to shake the reins at him but he won cosily to bring up his HAT TRICK! Can’t remember when we last had a horse do that, and its particularly satisfying after all of the trials and tribulations that AC and his loyal owners have been through. Plenty of EPDS members on hand to cheer Andy home, although sadly John & Ellie not able to be there. The icing on the cake for them as another of their horses Our Reward brought up a double for them in the last. Megan won the BTO so it was an all round fantastic day and winner #7 equalled our total for last season! Well done to the team – owners and the team here alike and of course Anti Cool who has earned himself a few days off! Two more winners since the last entry here, and a delay in getting anything up thanks to BT and their efficient repair service – over a week with no phones and no broadband in the office – great! Winner #5. Wildmoor Boy has tested the team to the limits, and after an initial excellent run in a championship bumper at Cheltenham, has been very disappointing. Easy as you like at home, he turns into a raving lunatic at the races in the preliminaries – Ok once out on the track. An improved run last time was followed by an even better one last week when he won comfortably. Making all under Charlie, he jumped much better and the race was put to bed going to two out. Well done to Cliff Beech & Brian Wilkinson who have been so patient with him, and a special well done to the team here who have had to cope with his antics at the races – better this time and he did condescend to stand still for pics in the winners enclosure! Thank goodness for Stratford being so near to us as its enabled us to arrive at the last minute and go home quickly afterwards! Just hope Warwick has plenty of suitable races for him in the winter! The handicapper got stuck in with a 9 lb rise for his efforts. Winner #6. Anti Cool has been another that has tested patience to the limits (although on the opposite end of the spectrum temperament wise! ), but he too seems to have turned a big corner, although we were nervous heading off to Southwell that he would get it right twice! No worries though, and although lady luck was on our side at the first (when Charlie nearly got knocked off by one of our old inmates cannoning into the side of him) Charlie gave Andy a great ride and won comfortably. Great to follow up, and another for the EPDS team who have waited for what seems like an age for him to get to all together. He has always shown us plenty at home, so it’s satisfying to see him getting it so right at the track too. Shares available in him (although maybe not for much longer!) so do get involved either through us, or contact EPDS Racing direct. Its great to get 6 winners on the board so early in the season, a bit of an improvement on last year! Lots of visitors lately – rather too many to mention individually after the latest news blackout (thanks again BT!) but always great to see everyone, think everyone’s getting itchy feet for the proper winter jumping to start up again! Open Saturdays start again from next week, so do come along and meet the team for this season whilst the weather is still supposedly nice! Winner number 4 for the new season. Anti Cool has always been a particular favourite of mine, and shown us plenty at home. He transferred that to the track when he was third in both his bumpers, but it has all been downhill from there! He struggled to complete in his hurdle races due to bursting blood vessels – he then had a break, a wind op and we waited for better ground. He then ran over fences and still struggled to complete – don’t think he was confident enough to see it through after all his previous issues! BUT he finally got his confidence back last night and under a masterful ride from Jack Quinlan got his nose in front and won tidily! Coming from off the pace – there was a lot of screaming required from two out by the team who had all gone to support. Delighted to train another winner for EPDS Racing who do such a great job with their partnerships, and also great for all the members who have ‘kept the faith’ and been so patient. Shares are available in Anti Cool and also Dontminddboys, so do get in touch if you would like to become part of a winning team. Nice run from Betterlatethanneva at Worcester under Tabitha Worsley – plenty more to come from ‘Peggy’ when she goes hurdling. So, finally back after a news blackout for a few weeks. Summer is supposed to be a quieter time, although it does not feel like it this year! No holidays for us this year, but a weeks slaving at Camphire Horse Trials in Waterford a couple of weeks ago was good fun. A fair bit of Olympic watching this week with all the equestrian stuff going on - paperwork an excuse to stay in doors in a near vicinity to a TV!! The team have all been on holiday, and a few changes taking place as well. The main crew are still here but a couple of disappointments with people who have had big chances and then let everyone down in a big way. Everyone knows how hard it is in this game, so when owners have given people a chance and then to get let down is bloody annoying as well as disappointing. Always silly to burn bridges too, you never know what is around the corner! Charlie and Chris Ward in regularly, also Jack Quinlan in this week, Emily Hoare who is a great friend of Harriet's in too during her uni hols. Welcome to Felicity & Alice who have joined the team. Well done to Megan who passed her end of year, OU law exams with flying colours! The horses are all back in now, and have all summered well. The flies have thankfully cleared off for another year so normal routine is resumed, and everyone getting up at a slightly more civilised hour! Not too many runners recently but Myroundorurs definitely the star of the summer, winning two and then another two excellent runs in 2nd and 3rd, having been put up a massive 22lbs for his wins. Delighted for Andrew & Jane Nicholls, who have been such a big support over the last year or so. Anti Cool has us scratching our heads a bit, old problems out of the way, but not really sure he is digging very deep. Having said that a bad mistake was the reason for his last PU, so back to the drawing board with him a bit! Wildmoor Boy has been testing the team to the limit at the races. He is a breeze at home, but turns into a monster at the races! OK once you get the jockey on and out onto the track, but the rest is a trial to put it mildly! However progress now being made, although it's a good job we have Stratford on our doorstep! Everyone very helpful there, and the BHA allowing us to arrive late - although not so helpful when we had to go into the dope box for finishing about 6th. Think he frightened them a lot more than he frightens us!! However getting there now, and he finished 4th last time over a trip that was just bit too far. He has massive talent as long as we can keep his head going in the right direction! Nice to have some that missed last season back in action and the long slog back for them, lots of roadwork and hills for them on their return to action. Good to have three winners on the board already and looking forward to adding plenty to that through the season. The eventers also going well, and Tilt Du Chatelier who did not enjoy the racing too much proving to be a very decent event horse. Great to be able to provide him with an alternative career when Plan A did not work out. Several big competitions this year for Harriet which has been fun - if rather nerve wracking! Our 'Open Saturday's' will resume in September so put a date in your diary to come and see the team for this season. Nothing too much to report since the last entry here. Flaming June has been a complete washout and it feels more like November here today. The only bonus is that the hated flies have temporarily got washed away – or hopefully drowned for a while! The team have been starting earlier than normal (hardly worth going to bed!) in an effort to beat the bloody things. The field horses also coming in during the day to get away from the bites. We have also been turning the fit ones out at night and keeping them in through the day. Better for the horses, but although they get a very long lunch break – which involves plenty of sleeping - it does make a long day for the team. As ever though everyone mucking in and getting on with it. Great to see that its Stable Staff Week this week, and that the staff are getting the recognition they thoroughly deserve. We are very lucky to have a team who are a pleasure to work with. Also sad to see some of the comments put on social media by some retired staff who have clearly not had a great time elsewhere in the industry. As someone who also has links to other parts of the equine industry it is reassuring to know that our staff have a proper wage and conditions structure – a far cry from many other types of yard who work totally ridiculous hours for a totally ridiculous wage. Shame HMRC don’t go and visit some of those! Having said that that there is plenty of room for improvement in our own industry. The ability to charge a higher training fee is a starting point – this of course driven initially by better prize money – would enable trainers to pay above the required minimum. Sensible prize money would enable owners to fund the increased fees – its not rocket science! The racecourses also need to make a lot more effort. Jockeys are paid to ride and get free food (no gripes about that) so why not the same for the staff?? When you go to tracks and not only have to queue behind racecourse staff to get fed in the first place – but to see that they are getting free food too, adds insult to injury. Nobody is asking for a three course feed, but just a simple and healthy meal should be available to all stable staff. Obviously some of the bigger tracks are already there, but it would not cost a fortune for all to follow. Some of the canteens are a disgrace and that is not acceptable either – Towcester,(Terrible) Worcester(inedible) Taunton Warwick (the only place that can kill a baked potato!) – take note! Things are so much better now – and rightly so – but improvement still required. Coming from a farming background long hours are the norm, and anyone who is self employed also knows the score. We try to balance out the long winter hours with shorter days and a lot less to do this time of year, but its often hard to remember that when the rain is running down your back in November! Thank you to all at Team Dickin for their dedication and good humour - they do keep us entertained as well as looking after their horses to a very high standard. Holidays still being taken Rachel off sunning herself this week, and Harriet T & Ceris in Dublin for a few days last week (they survived!!). Cathal off to teach the French Irish next week, & Megan off to teach the Irish South African the week after! We are looking for another team member for the coming season, do call the office if you would like to come and join us. Not too many runners although those that have run all running pretty well. Great to see Anti Cool back on the track after all of his problems. He ran creditably to finish fourth just blowing up a bit going to the last and Charlie sensibly looking after him. No sign of the old problem which was a profound relief – delighted for John & Ellie and the EPDS team who have been so patient – just got to do it again now! Vocaliser ran much better at Newmarket. Another who has been working through some issues - we were delighted to see him run all the way to the line and although last of 6 to finish only beaten about six lengths. All about confidence with him and that would have been a good boost for him. Wildmoor Boy has been testing everyones patience and skills. He was an amazing third in a listed bumper at Cheltenham on his first run, then had a couple of problems in running, which I think frightened him. He then turned into a deranged idiot at the races. WB is very easy at home but seems to get claustrophobic in a strange stable. He has been here there and everywhere to try & desensitise him, which has worked to a degree! Testing Megan’s handling skills to the nth degree! Lots of help from Charlie & Fran & also Eric at Stratford races saw us actually get him to the races last night. Very late arrival and plenty of skill from the girls saw him get out onto track without too much fuss (relatively!) he ran Ok but Charlie pulled up at the second last – plenty more to come from him and a better experience will have helped his confidence no end. The Lion Man has been crying out for better ground and having got it at Uttoxeter ran a massively better race. Running on to be fourth not beaten far. Just showing what a hard time the wet winter gave some of the horses. He runs again today and just hoping the pouring weather we are getting at the moment does not manifest itself there. A recent addition Betterlatethanneva ran a blinder in the bumper on the same day to finish second for Charlie's better half Fran Nimmo. The filly now heads for Ascot sales in July and will be a really decent filly to train on. We would be delighted to retain her to stay in the yard so do call if you would be interested. Winner Number 3 of the season! Myroundorurs back to Worcester on Saturday to try for a repeat performance of his win a couple of weeks ago. Up 16lb as a reward for his efforts (thanks for nothing Mr Handicapper!) it was a big ask to follow up with another win, but Myround did not know that and just got on with the job in hand. He is getting much better at coping with all the preliminaries as his confidence grows, and looked picture in the paddock. Megan who does such great work at keeping him calm - robbed of the turnout, but still appreciated by us and also Andrew Nicholls who had managed to get some time out of his busy schedule to get to the races. Myround does not do waiting around and is not a ride for the faint hearted - Charlie not at all worried by that and gave him a great ride – pretty rapid over the first four he had a healthy lead down the back straight and Charlie managed to get a blow into him going into the turn. Not travelling as well as last time as he turned in we thought the writing was on the wall, but horse and jockey had other ideas, and went on again over the last three. Clear jumping the last the race looked in the bag but a late challenge from the runner up meant a lot of screaming from us and a determined effort from horse & jockey! Happily we prevailed by a neck – a really good performance after such a big hike in the weights, and delighted for Andrew & Jane . Very rewarding to win with a horse that has plenty of talent but has caused plenty of blood, sweat & tears to work him out! Worcester had done a good job with the ground, and happily Myround fine afterwards, and out for a mini break with his mates. He can’t handle soft ground but as he is such a big horse won’t want it too fast either. He will continue to run through the summer, but only on decent safe ground. Great to have had three winners so early in the season. Vocaliser ran on the flat at Kempton, and travelled well for a long way – just blowing up a bit in the straight. He has had a fairly life changing operation since his last run and is now a gelding so has an excuse for not quite getting home. He may have one more run on the flat or may head for the field – jury out on that one at present! Most of the team now out to grass - of which there is an abundance this year – 40 ewe lambs arrived from Turnstone Farming to help get some of it munched off – also great for the pasture to have some sheep following the horses, who are notoriously bad gazers! The woollies caused a lot of snorting and puffing by the holiday makers who eventually decided that they were actually quite boring and not aliens landing! The team still slogging away with the power hose and getting there slowly. Supposed to be a quiet time of the year but always plenty to do, especially as the troops are all trying to get some holiday in. Cathal back to Ireland for a week to catch up with his family. Megan looking a little less traumatised after her end of year OU exam done and dusted! Southwell with Anti Cool tomorrow. Feeling pretty stressed about him, as he is a horse with bags of talent but has had some difficult ‘issues’ which we have thrown everything at over the last few months. Hoping and praying his patient owners are rewarded with a solid run tomorrow. Off the mark for the new season – and happily a lot sooner than last year! Myroundorurs has not been easy – either at home or at the races!! He pulls like a train and is very sharp as well. Soft ground is not for him so Andrew & Jane Nicholls have had a long winter waiting for him to have his preferred conditions! Getting him to settle over hurdles has proved impossible so a change of tactics first time over fences. Not a job for the faint hearted up the straight at Worcester with four fences coming up very quickly, but no better man for the job than Charlie, who was wiping the flies off his forehead by the time they went past the post the first time! Once they turned down the back he settled better and jumped like a stag – no one could get near him – still pulling going to the last he won as he liked by 20 lengths!! A great ride from Charlie and a very good effort from Myround and the team delighted to train a winner for such patient owners in Andrew & Jane. Sadly neither of them could be here but think there was plenty of encouragement from afar – there certainly was from Dickin HQ!! Having just recovered our voices it was off to Stratford on Saturday evening with Jackfield (Jack Quinlan on board) – the horse has had a few placed efforts, but a downpour prior to the race did nothing to get our hopes up, however we need not have worried as JF was always travelling well and ran out an easy winner. Great to have two early winners on the board and hopefully these two will follow up! Many of the string on holiday now and at last the weather warming up for them. Plenty of grass and those trim waistlines expanding by the day! Lovely to see them out and relaxing. The team now busy with power washing and general spring cleaning – no-ones favourite job, but it has to be done!! Delighted to announce the arrival of Dancing Daffodils first born! A bay colt by Native Ruler who stands at Batsford Stud, and who is himself a son of Cape Cross. The other new arrival is a beautiful daughter for Chris & Louise Dickin who was born on April 22nd. Careena Elizabeth Shirley. Huge congratulations to Chris & Lou - and a little sister for Luca. Well another season comes to an end and I can’t say that we will be too sad to see the back of it either!! The early part of the season proved to be at the very least – trying – for the whole team. Horses running well but not well enough and winners proving very elusive. A lot of places and no indicators as to why the number one spot eluding us. The weather not helping at all and incessant rain giving us heavy ground for most of the winter. Plenty of ours not wanting the ground deep and spending a lot of time at home! With no changes to our daily routine or feeding regime the tide suddenly turned and Timons Tara breaking the duck to a collective sigh of relief from Team Dickin. Then as often happens the tide turned and everyone running much better. Delighted to train a winner at last for Mark James – after a really annoying amount of places! Get Involved was bought as a replacement for the ill fated Point of Attack, and is a lovely horse but cannot handle soft ground so his loyal supporters have had to be very patient this winter, especially as Some Finish who was bought on the same day managed to bang in two consecutive wins, whilst their horse stood in his stable looking at the mud!! They were repaid however with a class performance at Newbury followed up with a really great effort to be second at Cheltenham first time over fences. A horse with an exciting future. As mentioned Some Finish notched up back to back wins at Leicester – he is still a big baby and will benefit from a good break this summer and be back bigger and stronger next season. Young Lou adding another to Cliff Beechs list of winners and a first winner for our new conditional Cathal Courtney. A day he won’t forget! Great to have another winner for Cliff especially as the filly is a homebred. Under The Phone has proved to be a real little warrior for The Tricksters and rarely runs a bad race – he lost his maiden over fences tag at Market Rasen and is sure to win again through the summer – another that does not relish the heavy ground. Thomas Crapper had a frustrating start to the year with a couple of under par performances – his blood eventually showed up a problem and took some time to correct – he hates heavy ground so more patient owners required! Again repaid with a great performance at Newbury to win a valuable prize. Great to have him back on form and then following up with a good run at Sandown on the last day of the season. Plenty of others in the team running well without getting their noses in front and plenty to look forward for the coming season. As well as the winners, we ended up with 15 seconds, 19 thirds and 15 fourths! A huge ‘Thank you’ to all of our loyal owners who have stuck with us through the choppy waters as well as when things are going well . Thank you to the team at home who have worked so hard all season and again have kept grafting away even when things were not going great! We could not do it all without such great support from all quarters. Masses to look forward to in the coming months with several that missed this season back in action, babies now growing up and a few with ‘issues’ now sorted! Plenty to run through the summer who have missed so much through the wet weather. Onwards and upwards ............watch this space! Weather still pretty inclement, and the grass not making much attempt to grow! Although there was a glimpse of sun on a couple of occasions! Grand National weekend and some great racing, unfortunately a chance for the ‘Great Uninformed ‘ to pop out of the woodwork and try and sound as if they know what they are talking about – and as usual failing miserably! Back to hugging their trees again now no doubt! As always a story behind the winner – well done to Mouse Morris & Rule the World, an emotional day for them. The action for us on the other side of the country at Market Rasen on Sunday and the very likeable Under The Phone making the trek up there well worth while when winning tidily under Conor Shoemark. ‘John’ as he is called by Hollie who looks after him – ‘Walt’ as he is know by his owners – made virtually all and had the race put to bed as they turned in. An amazing leap three out caused a collective intake of breath by his loyal supporters and he won by a cosy 6 lengths, putting a disappointing run last time out, behind him. Great to get another winner on the board, and to get our season looking a bit more healthy! It was a very trying time up until the new year with no obvious explanation either, which makes life pretty tough. Recently though the horses have been running very well, (with a couple previously documented low points) which does make it easier to get out of bed in the mornings!! Well done to The Tricksters yesterday, and well done to the team at home. A really busy Saturday with our monthly Open morning, four runners at Newbury and Harriet & I away in Norfolk for her first 3* competition! It was also Robins birthday so I think it fair to say I was not the most popular person around for not being here! Open morning busy this month – but as has become standard for the first Saturday of the month it was raining!! A great turnout though – NH fans never put off by a bit of rain! Thanks as ever to Terry & Mandy Poulson who braved the elements again and warmed everyone up with coffee & excellent cakes made by Terry! The air ambulance tin is feeling heavy so thanks to everyone that donated towards this essential service. Hopefully these open mornings have given interested parties the chance to see what goes on in a racing yard (& Terrys kitchen!!) and to get involved in our fantastic sport. The team off to Newbury with Brian back at the wheel and he clearly has not lost his touch. Vocaliser not really seeing his race out and investigations on going there, Thomas Crapper out again after an encouraging run at Exeter a couple of weeks ago and looking fantastic in the preliminaries (BTO for Harriet T). Happily he had read the script and jumped for fun all the way, storming home to win by a couple of lengths. Great to see him finally break his duck over fences after some great runs in defeat. Given a super ride by Charlie he was screamed home by his enthusiastic, and very patient owners who have never lost their faith in him, and waited for both blood and ground to come right this season. Harriet & I managed to get the TV working in the lorry in Norfolk and with help from the dogs who thought it great fun to join in, were in danger of being evicted from the event for rowdy behaviour!! SO delighted to have TC back on track – and for a good prize too. Timons Tara next up in the mare final and ran a blinder to finish fifth in a red hot race – very good effort from TT and Jack Quinlan. Black Country Boy then in the bumper and sadly picking up a nasty injury, which took the shine off the day for everyone. He is home though and will mend in time. Devastating to pick up an injury in a bumper, and very unexpected. Nerves in shreds over in Norfolk with the fences all looking mighty big! Great effort from Harriet & Bean with a decent test, one pole in the show jumping and one green error cross country but completing in their first effort was a great achievement. No runners until the weekend now and hoping that things will warm up a bit so that the grass will get going. This sport of ours has many us and downs which we all accept, but days like yesterday - which thankfully are few and far between - are the toughest to deal with. Four runners at Warwick, Under THe Phone ran disappointingly, Tara Well came back very sore in her back, and then we lost poor Badgers Cove when he fractured a hind leg in the long distance chase. Badger - owned by Mr Beech & Brian Wilkinson has been with us since he was five and was a huge talent - with fragile legs. He was the kindest horse, with a huge character and a great love of polos!! He could sniff them out from 100 yards away. Having had a year out and been home to live with Cliff he was delighted to be back in work again (although had had great fun racing Cliffs donkeys around the field) and looked fabulous yesterday - winning the best turned out. He was skipping along and jumping fantastiaclly when disaster struck. A runner in the next race meant the show had to go on and the team were fantasically professional and Jump and Jump ran a really nice race in a very hot bumper. Blackcountry Boy was also in attendance for an outing after his first run. I was so proud of our young team - whose hearts were breaking - but who held it all together looking after the other horses and were so professional both at the races and at home. Our utmost sympathies go out to Cliff & Brian and the rest of the Beech family. The Beech horses are much cherished. Thank you to everyone who has sent messages etc it means a lot. The week before Cheltenham always carries a feeling of anticipation and excitement, and for us nerves as to whether Thomas Crapper would beat the ballot – frustratingly he did not, so a feeling of deflation also in the camp. However the week also gave us another winner in Young Lou who finally lost her maiden tag! Lou has been placed so many times, but despite the knocking from the pessimists on RUK showed great tenacity to win well, under a good ride from out new conditional Cathal Courtney. This was only Cathals’ fourth ride under rules and he followed plan A to the letter winning tidily for a 28th winner for our legendary owner Cliff Beech and co owner Brian Wilkinson. Delighted to train another winner for Cliff who is SO patient with his horses, although waiting for all the babies to be old enough to run must have been frustrating even for Cliff! Young Lou is a homebred out of the decent Wanna Shout who won several for us, and by Kadastrof – the legend lives on! The previous day Cathal had ridden Tara Well to be third in a decent mares race at Sandown. Tara Well (by Kayf Tara) is a really likeable filly – tough as you like and was only beaten four lengths, having already run once earlier in the week in ground she hated to be 4th at Lingfield. TW is for sale and will give someone a lot of fun. Debating whether to set up a new partnership in her, so if you are interested to give a call for details. Some Finish a bit disappointing at Leicester to finish third. The ground again was horrendous, but I think three quick runs in tying to beat the handicapper caught up with him. Up 7lbs for first win then another 12 for the second – bloody hard on him, and surprise, surprise no drop for a sound beating. 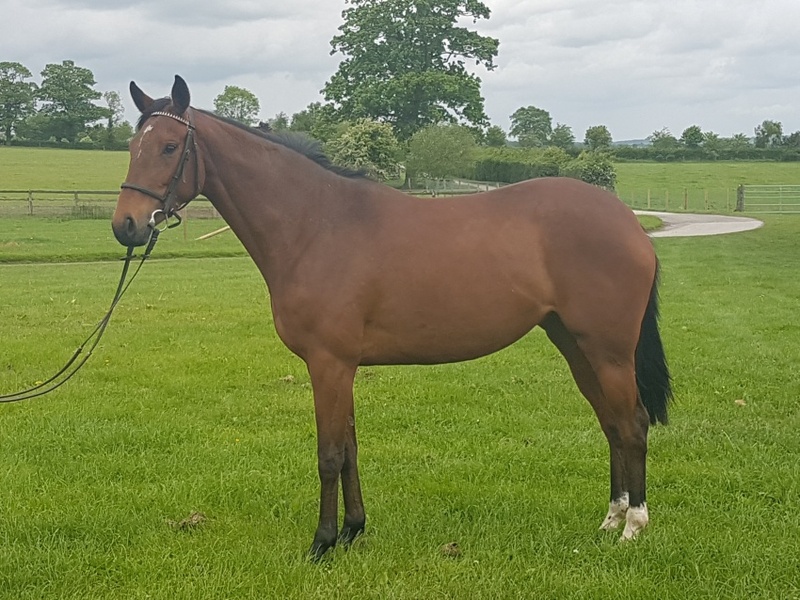 Another Kayf Tara (the progeny are having a wonderful Cheltenham) there are still a few shares left in the Some Finish partnership – a dual winner – what more could you ask from a horse to get involved with! Todays racing as expected will be top class, as it has been all week. Ruby showing what a magician he is, and many wonderful performances across the card. Vautour and Thistlecrack both very impressive yesterday, but Sprinter Sacre was the stuff of dreams in the Champion chase – well done to all connections – it was a fabulous performance and brought a tear to many eyes – including mine! The VP debate rumbles on, and whilst acknowledging that she has done amazing things to even get to the races at all – never mind today – the press frenzy is now getting really tedious and I hope it does not encroach on what will be a great days racing. Delighted to be able to report another WINNER last Friday at Newbury. Get Involved showed a lot of promise on his first run for us but has had some wind issues since and we have been waiting for some better ground for him – a process that has taken some considerable time this winter! Having side stepped Ludlow last week we declared at Newbury but the ground then softened up again – very frustrating and caused not a little debate! Eventually we decided to run and the rest is history! Charlie gave GI a great ride and nursed him around until creeping into contention as they turned for home. He slightly fluffed his lines at the second last and was second after jumping the last, but I think the collective screaming from his supporters galvanised him and GI won tidily going away from a very game favourite in second. Very pleased to win for the Point Of Attack partners who have had a bumpy ride after losing their lovely horse who the partnership is named after, in a freak accident in his box. We bought GI with lots of involvement from the group which was fun, but the mud has tested everyone’s’ patience again!! Well done to all of them and thank you for keeping the faith – this will be an even better horse over fences! Ironic actually as Some Finish & GI arrived on the same day so great win with them in the same week! Other runners at Newbury also ran well – Vocaliser back after a long break ran well to be fourth in a hottish juvenile race – jumped very well – needs better ground, and possibly just needed the race. Badgers Cove who is a great favourite in the yard had been off the track for almost two years with an injury, ran an absolute blinder to be fifth running on. So pleased to see him back. All OK after the races – always a relief! First day of eventing yesterday and a trip to Norfolk. 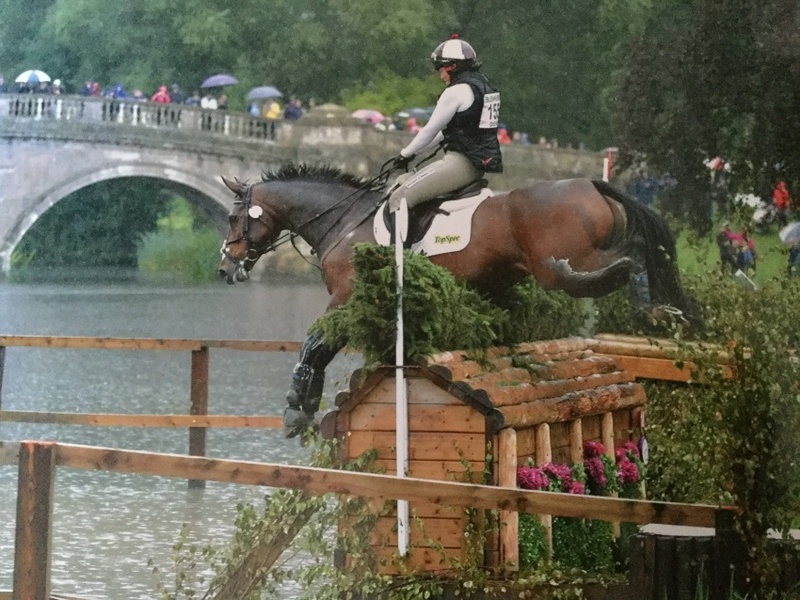 The day started really well with both horses doing good tests and show jumping rounds – unfortunately it was all down hill from there when Tilt Du Chatelier & Harriet took a tumble at the water and Harriet’s day ended in Warwick A&E (battered but happily not broken!) They live to fight another day! It was a long way home! Tara Well off to Lingfield today for a first run over hurdles – Charlie rides and we hope the ground is awful! !